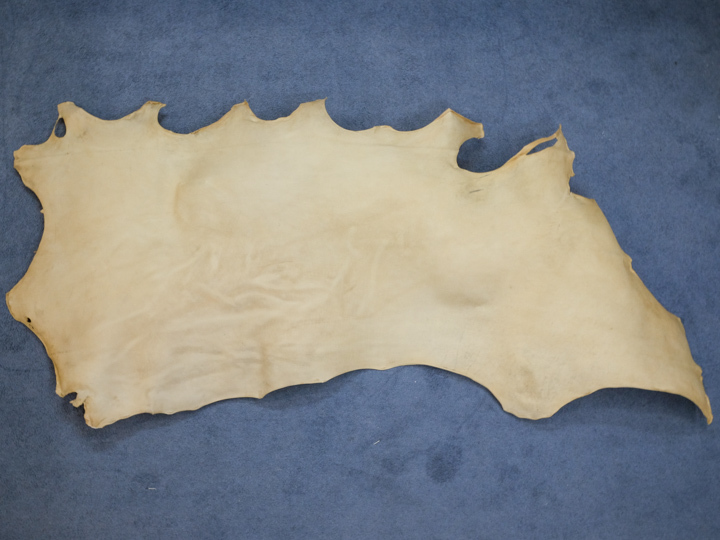 A full rawhide cow skin has great variation in thickness of the skin. Usually, the neck is very thick and the bellies are thin. 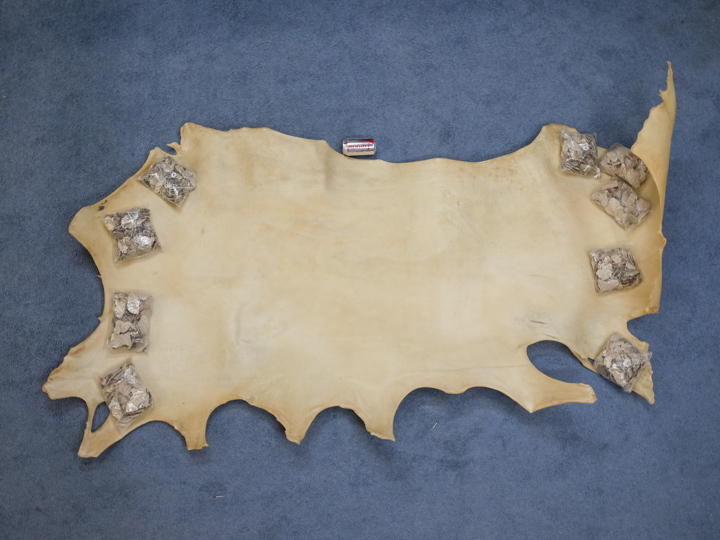 The cow rawhide double backs are full cow skins that have had the neck cut off and the sides trimmed to produce a piece of rawhide measuring approximately 4' by 4' (16 square feet) with a consistent thickness. We use this material to produce our rawhide drum covers. We also offer pre-cut rawhide drum covers.